The United Grand Lodge of England has confronted one of the most frequently asked questions – what’s it all about? – with the launch of a straight talking guide to its unique organisation. The move comes on the back of the publication of the first ever independent study into Freemasonry which showed that nearly half (49%) of those questioned wanted to know more about Freemasonry, and over a quarter (26%) of male respondents would consider joining. ‘Freemasonry – What’s it all about?’ is a succinct summary of what Freemasonry actually is, clarifying its role and relevance in society today, and dispelling head on many of the commonly held myths. It highlights the importance that Freemasonry places on charitable giving, the part that many Freemasons play in their local communities, and the central role of the family. It also explains its moral and ethical approach to life – including thoughtfulness for others, kindness in the community, honesty in business, courtesy in society and fairness in all things. 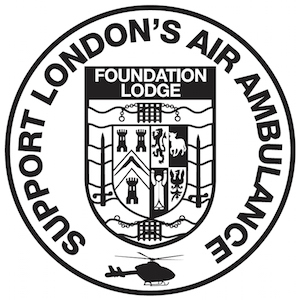 Freemasons are the largest charitable givers after the National Lottery, and also make major contributions to international disaster relief funds. Citing the many aspects of membership such as friendship, personal growth and development, the guide includes examples of people that experience Freemasonry first hand. “Our research has shown that there is a real appetite to know more about Freemasonry and this guide is another important step in building recognition of our role and relevance, openness and transparency as we approach our tercentenary in 2017. The research also highlighted that more than a third (37%) said that if they met someone they knew to be a Freemason, they would be hesitant to raise the subject with them, while a further 20% would definitely say nothing, wrongly believing Masons are not allowed to talk about their membership. This is quite the contrary – Masons are actively encouraged to discuss it and the guide is further evidence of this. The new guide is available to download (just click it above) and is also available in printed copy from Freemasons Hall in Covent Garden.